While the Uttarakhand government is keen to encourage tourists, it needs to figure out how many people the hills can withstand at once. Dehradun: The Chardham yatra to Yamunotri, Gangotri, Badrinath and Kedarnath is considered one of the holiest pilgrimages for Hindus. However, the Ministry of Road Transport and Highways (MoRTH) has gone about improving their connectivity in an ungodly manner. The MoRTH has come up with an ambitious project to build a two-lane express highway connecting these four dhams. Work on this extended 900-km project, which passes through 529 landslide-prone areas, has proceeded without the mandatory environmental impact assessment (EIA). The MoRTH has also not thought it necessary to conduct any detailed cumulative assessment of this ecologically sensitive region, which falls within the catchment area of the Ganga and its tributaries, including the Bhagirathi, the Alaknanda and the Mandakini. S.P. Sati, a geologist at the University of Horticulture and Forestry, Tehri, said that the consequences of these (in)actions can be seen on the ground. “Although the monsoon has just started this year, there are already heavy landslides along both the Alaknanda and the Tehri routes, where thousands of trees have been uprooted because of these mud slides,” he said. Alarmingly, the environment ministry has not received an environmental proposal for this project – at a time when it has has necessitated the felling of over 45,000 trees, of which nearly 30,000 are thought to have been already been cut. Former chief minister Harish Rawat has gone public raising concerns about the amount of muck-racking taking place, with most of it being dumped into rivers. “What is happening is nothing short of an environmental disaster of tremendous magnitude,’” he said. The NGT has since stayed all tree-cutting beyond the 300 km stretch where the road has already been laid. He insisted that work on the 300 km stretch proceeded in a “scientific manner”, with emphasis on slope stabilisation. “This entire project will see an exponential rise in tourism by making it [perennial] and therefore help the economy. The project will not only help boost tourism but will also minimise inconvenience faced by millions of tourists and pilgrims who visit the state every year,” he said. There is also a rail link in the works, between Rishikesh and Karnprayag, to boost tourism. 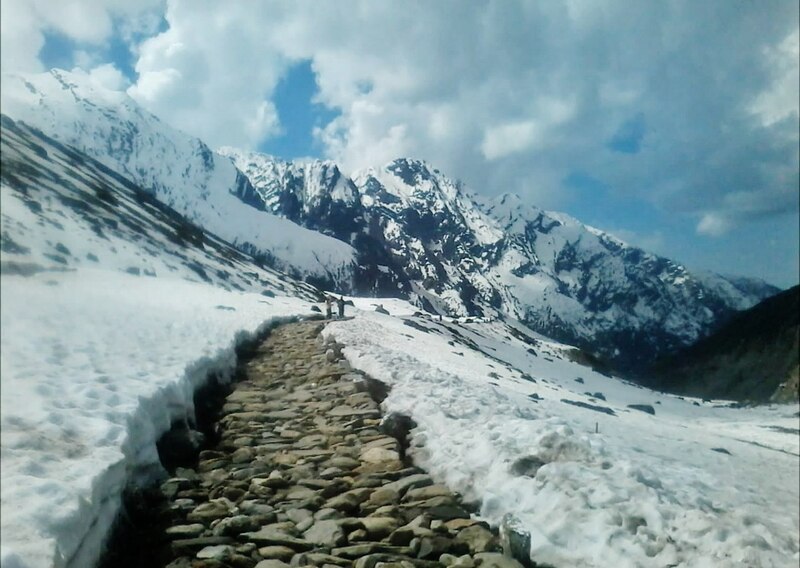 While chief minister Rawat has gone on record to state that it will be extended to Sonaprayag and Joshimath, Prakash went a step further and declared that the service is likely to be extended by 2023 up to Badrinath. This project has also had its share of hiccups. For one, its cost has shot up to Rs 16,200 crore from around Rs 4,000 crore in the six years since it was first proposed. The line is expected to have 11 stations and cover four districts of Uttarakhand: Dehradun, Tehri, Chamoli and Rudraprayag. As with the road-building project, laying the railroad requires the transfer of a large tract of forest land, this time to the railways. A delay in securing the requisite permissions from the forest department was responsible for the cost hike. 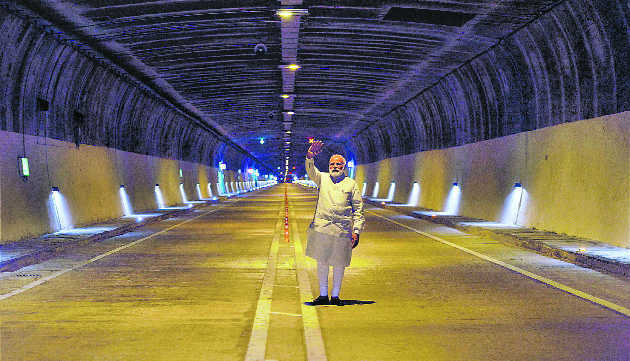 According to sources, the state environment ministry in Dehradun did not clear the project because it wasn’t convinced the track alignment plan was linear (or straight) – a mandatory requirement to protect the fragile landscapes of the Himalaya. However, the ministry acquiesced after its counterpart at the Centre wrote a letter to it on September 16, insisting that the project was linear. This was another reason for delay: that the extensive tunnelling would create large quantities of muck. Malgudi insisted they had already acquired land for muck disposal but activists have remained apprehensive about these claims, especially since travelling mounds of muck caused the most damage caused in the 2013 Uttarakhand floods. According to K.S. Valdiya, an environmental geologist who has been studying the region for many decades at the Jawaharlal Nehru Centre for Advanced Scientific Research, Bengaluru, told Times of India that it was a “criminal oversight” to not pay attention to the state’s geological and hydrological features. “These features are well-mapped and documented. But engineers and builders choose to overlook them.” He the present style of construction is flouting several scientific norms. Foremost: the seismic fault lines of this earthquake-prone state were not kept in mind while building the roads. Valdiya warned that these fault lines, which are active and see back-and-forth movements, have been cut in many places by roads. More dangerously, some roads have been built along the lines themselves. Consequently, tiny movements in the ground can weaken the rocks at the roads’ base, making these stretches susceptible to cave-ins and slides. The second area of neglect is drainage, with road engineers not providing for rainwater drainage. Valdiya believed that where a 1-2-m long bridge was required, the engineers built small culverts. Even where drains were built, they were filled with debris. Activists have also complained that the mountains along the sides of the roads are being cut at 90º when it should be done at 45º. The slopes of the mountains help restrain water-flow but when cut improperly, the water could get onto the roads. Given all these issues, it is not surprising that the NITI Aayog has highlighted, in its Composite Water Management Index, how rampant construction projects have caused half of all perennial springs in the Himalaya to dry up. So while the state government is keen to encourage tourists to visit, it needs to figure out how many people the hills can withstand at once. In 2013, 1.3 million pilgrims visited Yamunotri, Gangotri, Badrinath and Kedarnath, and the numbers are only set to increase. Unfortunately, the state government seems to have learnt little from the 2013 calamity. It has drawn up an ambitious tourism plan extending up to 2022 without any regulations. Whether these hills can cope with this pilgrim rush is something they need to delve into as well.